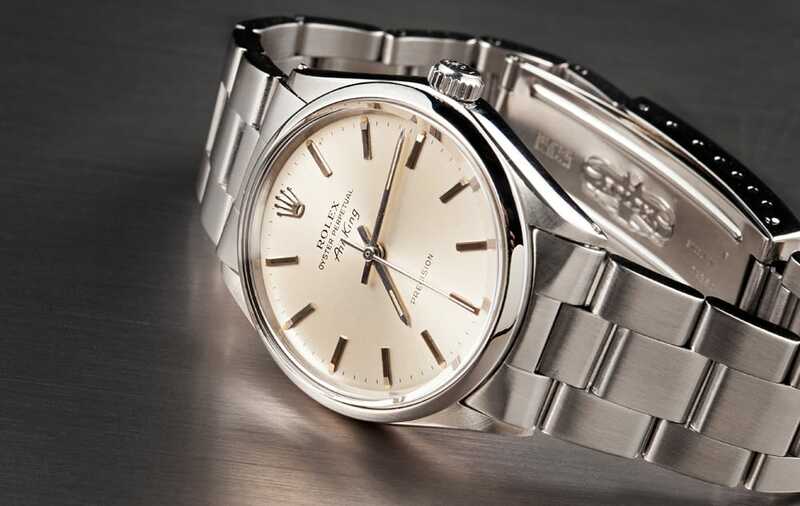 The Rolex Oyster Perpetual ref 1002 is an affordable vintage watch from a very popular period of Rolex watchmaking in the 1960s. As always, Rolex made a great effort with ref 1002 to create a long-lasting and quality timepiece. Perhaps not as flashy as some other Rolex models, the simple look of ref 1002 gives it a classic and timeless appearance, while its quality construction keeps it running smoothly and accurately for generations. 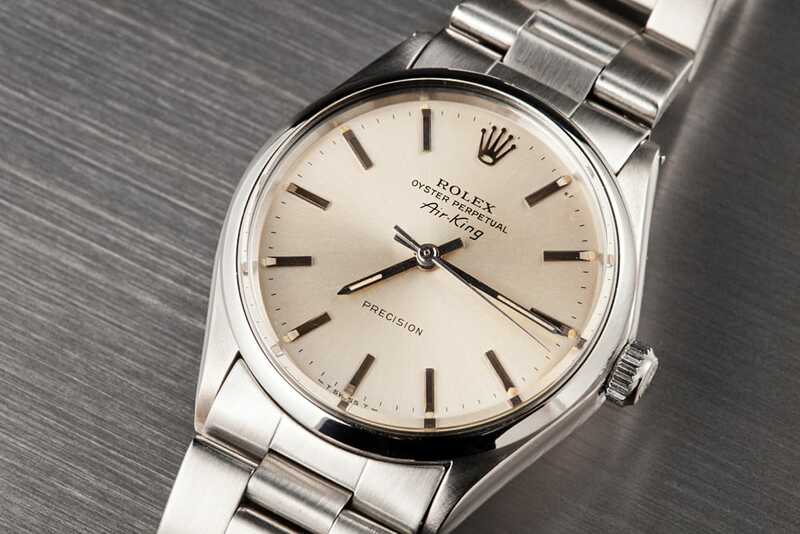 Rolex ref 1002 was produced in the late 1950s and through the 1960s. The timepiece originally featured a robust 26 jewel calibre 1560 automatic movement. Calibre 1560 possess a Rolex p/n 7980 balance assembly with a Breguet hairspring, running at 18000 bph. 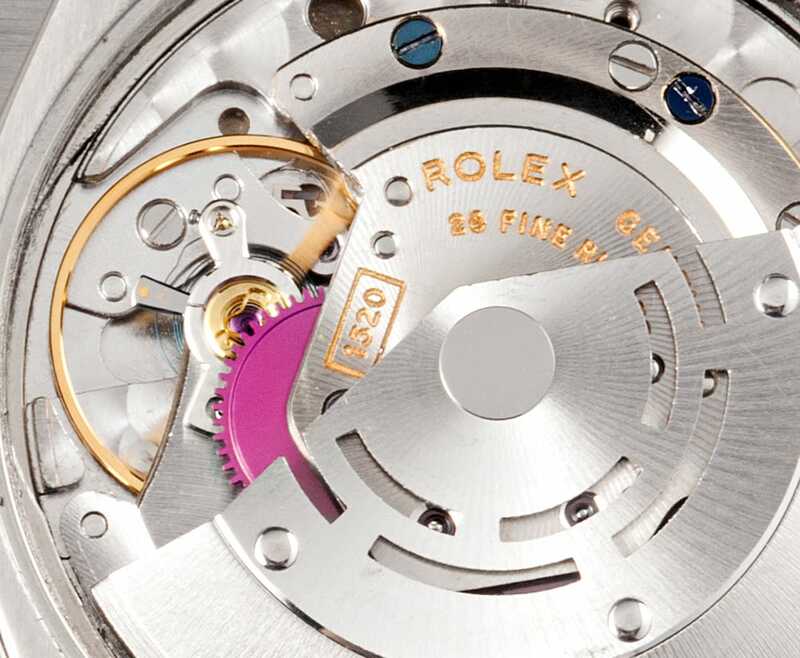 Some later Rolex ref 1002s feature the calibre 1570 automatic movement. Calibre 1570 was introduced in 1965 and has a balance assembly Rolex p/n 8106 with a Breguet hairspring, running at 19800 bph. The calibre 1570 automatic movement was very popular among both dress and sports Rolex models. 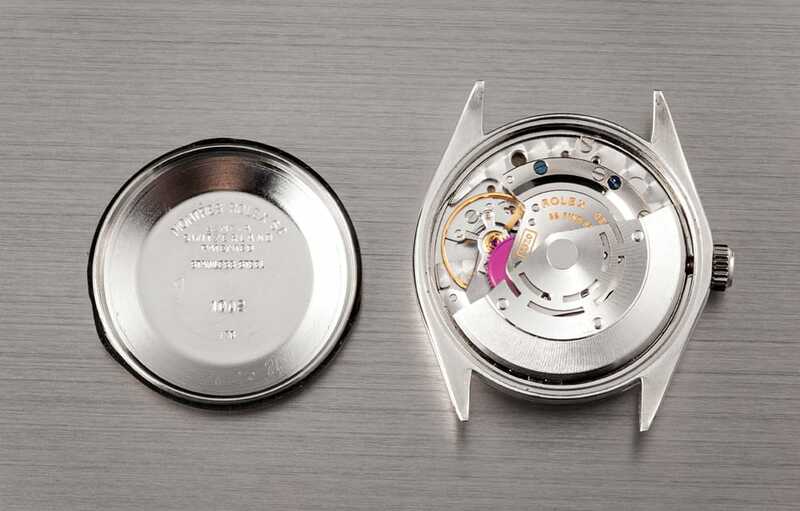 Unfortunately, because of the movement’s popularity, many watches from the 1960s were taken apart and their movements removed and placed in other watches. Therefore, it is becoming increasingly hard to find watches, like ref 1002, unaltered. 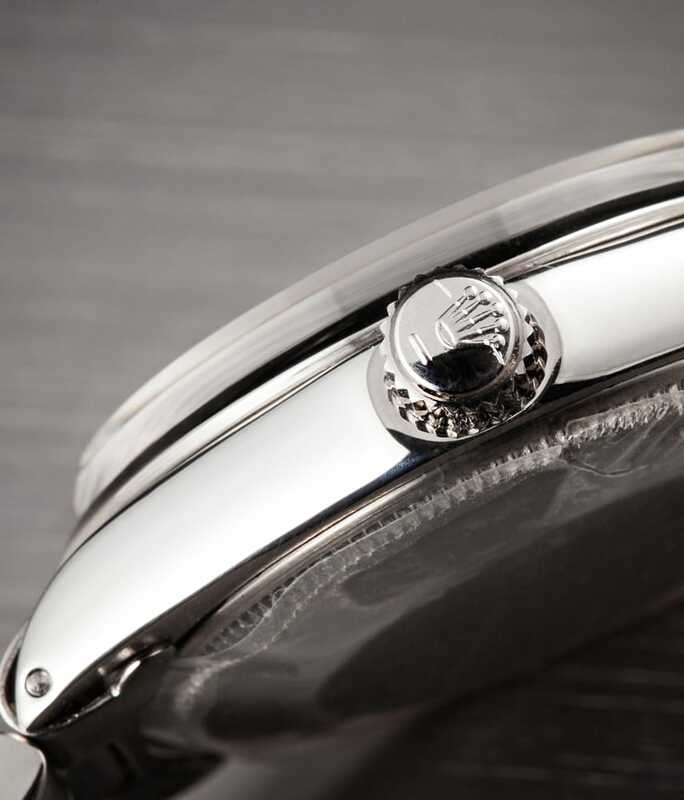 The movement was held in a 34-36mm screw down Oyster case. 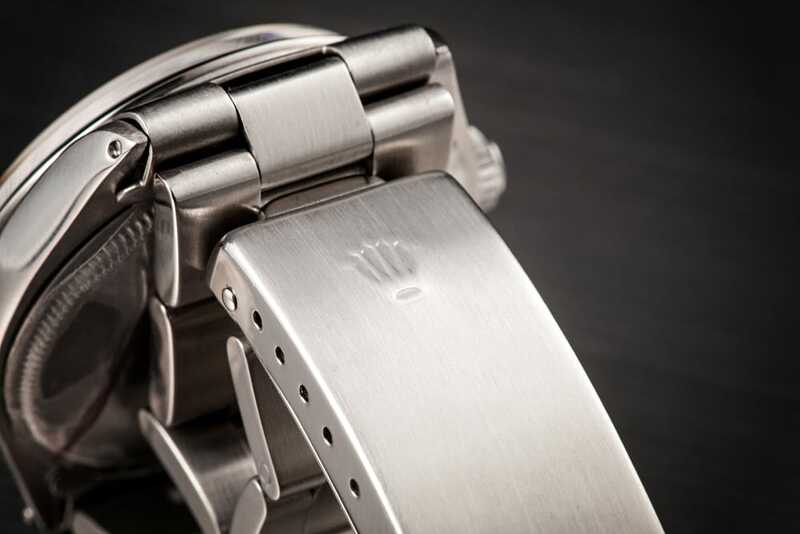 The case was available in both stainless steel and either 14ct or 18ct gold. Each case was topped with a smooth bezel and a sapphire crystal. The dial was either silver or gilt, typically depending on the finish of the case. 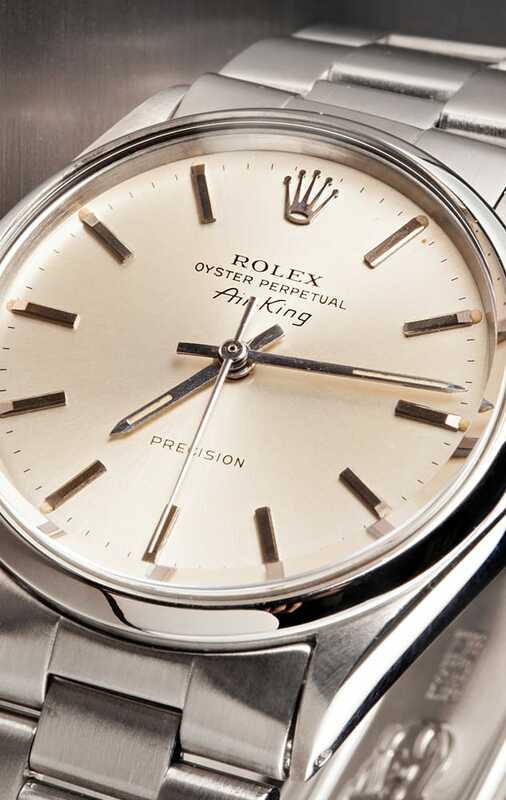 Each dial was signed Rolex Oyster Perpetual, Superlative Chronometer Officially Certified. Topped with luminous index hands and sweep center seconds, the dial was finished with applied baton numeral markers. The bracelet came in a variety of styles, including matching stainless steel, 14ct, or 18ct gold Oyster bracelets. Some ref 1002 feature a black or brown leather strap as opposed to an Oyster link bracelet. Ref 1002’s master craftsmanship was intended to last for at least one generation. 40 plus years later, many Ref 1002s still remain. Ref 1002 is also a very reasonably priced vintage Rolex watch. Many in good working order sell anywhere from $900 to $3800 USD, depending on age, condition, movement, and metal finish. 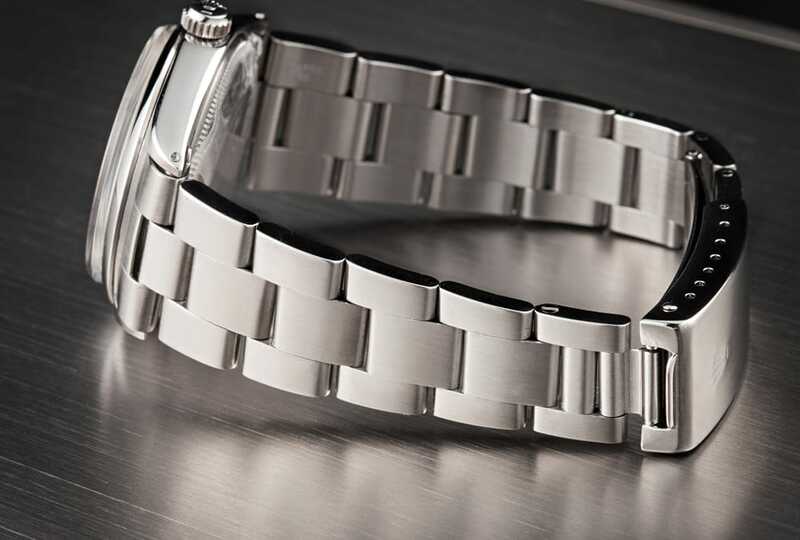 This affordable and varying price range makes ref 1002 a viable option for those who wish to enter the Rolex collectors’ market. It also makes ref 1002 an affordable watch to give as a gift, or an affordable vintage addition to any existing Rolex watch collection.